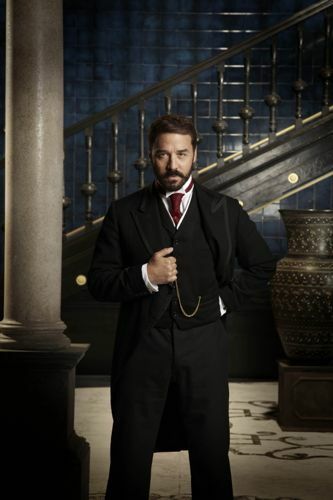 JEREMY Piven has plenty in store for viewers when he returns tonight in Mr Selfridge. I was delighted to be asked by ITV to write the cast interviews for this 10-part second series. Having also done the same for the opening season. And on the first of a number of visits back to the Mr Selfridge set in London last year it was immediately clear the bar has been raised. I was a genuine fan of that first series and the second, set five years on in 1914, delivers a step up in all departments. Including an even richer look on screen as the backdrop to some truly terrific storylines and new regular characters. As well as some delicious twists and turns for the cast members we first met on screen a year ago. 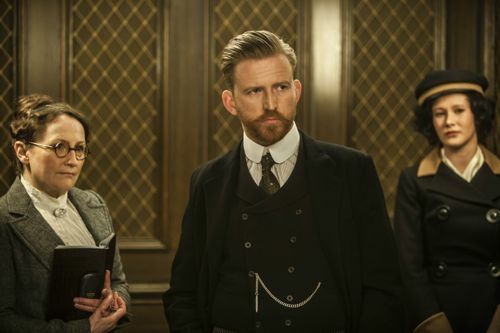 Jeremy takes the lead as store owner Harry Selfridge with Frances O’Connor as his wife Rose. 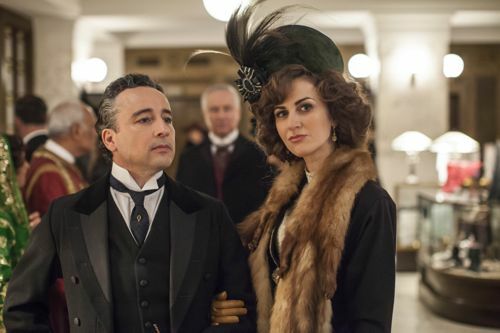 Both real life characters from exactly 100 years ago. The cast were, as ever, fascinating to talk to with many stories to tell. Not least the tale of Jeremy Piven and a Rolling Stone. Frances O’Connor on the guest appearance by English tenor Alfie Boe and her new look. 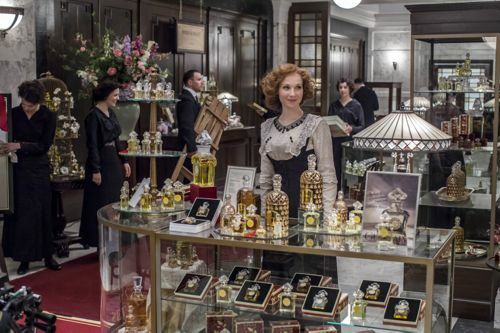 Aisling Loftus (Agnes Towler) and her visit to the real Selfridges on London’s Oxford Street. Katherine Kelly (Lady Mae) on a dramatic change for her character. 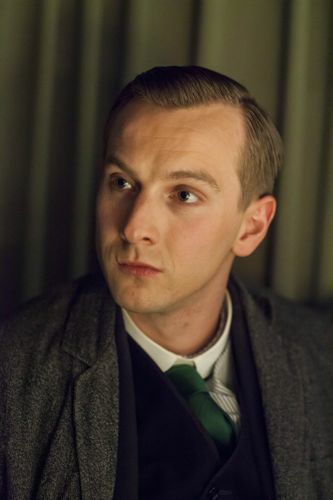 Aidan McArdle (Lord Loxley) as the man viewers will love to hate. 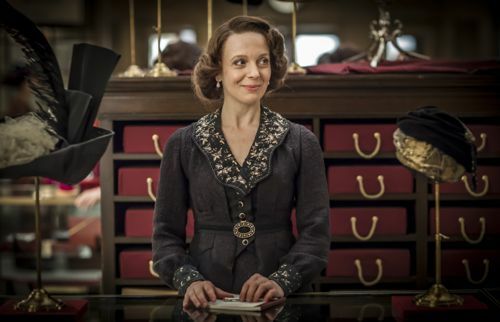 Amanda Abbington (Miss Mardle) on the Great War about to claim so many lives. Amy Beth Hayes (Kitty) on Tango terror. Cal MacAninch (Mr Thackeray) on cutting a dash. 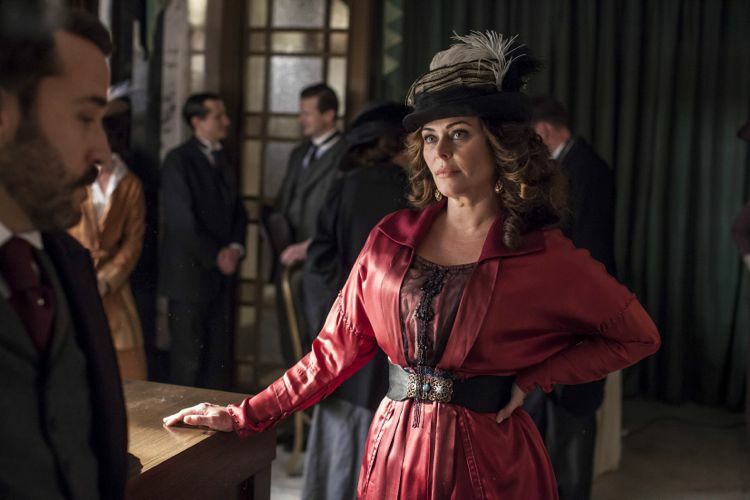 And Polly Walker (Delphine Day) on the impressive new Delphine’s Club set, where we chatted for her interview. 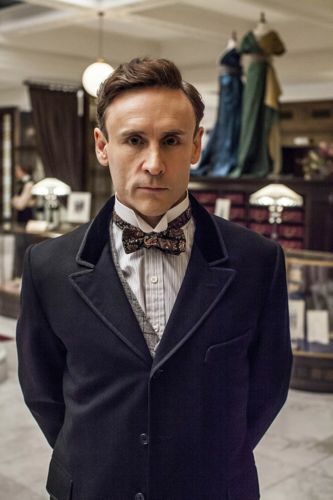 Mr Selfridge is a real Sunday night TV joy. Opening its doors for business on ITV at 9pm tonight. Scroll down for more photos from the new series. Including Ron Cook as my favourite: Mr Crabb. Five years on: Aisling Loftus as Agnes Towler. 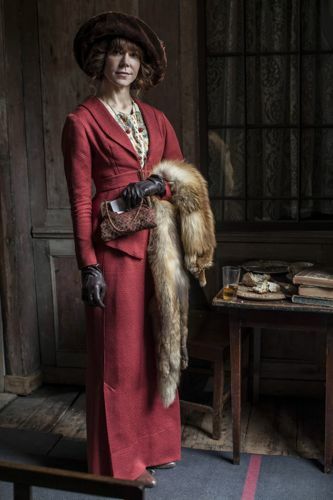 Frances O’Connor as Rose Selfridge. 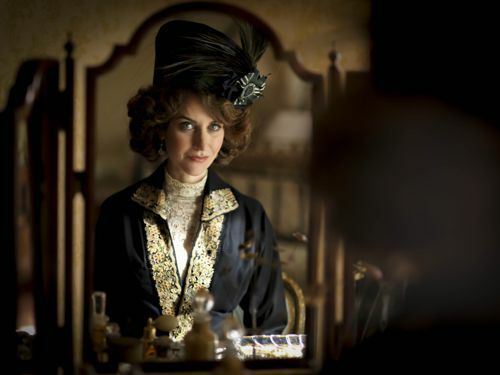 Katherine Kelly as Lady Mae. 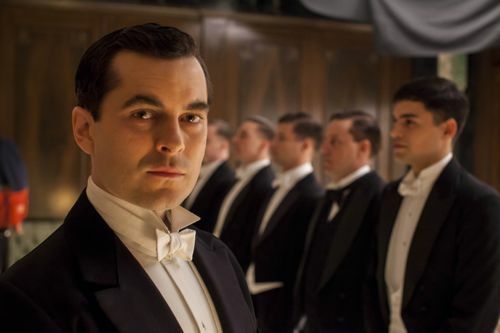 Lord Loxley (Aidan McArdle) and Harry Selfridge (Jeremy Piven). 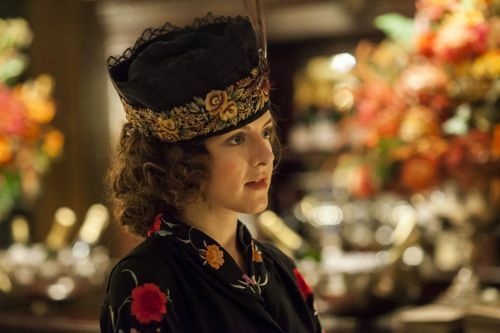 Amanda Abbington as Miss Mardle. Aidan McArdle and Katherine Kelly as Lord and Lady Loxley. 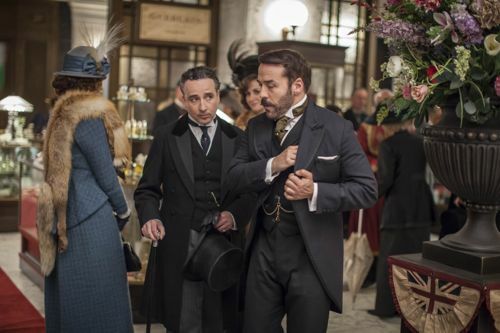 Jeremy Piven as Harry Selfridge. 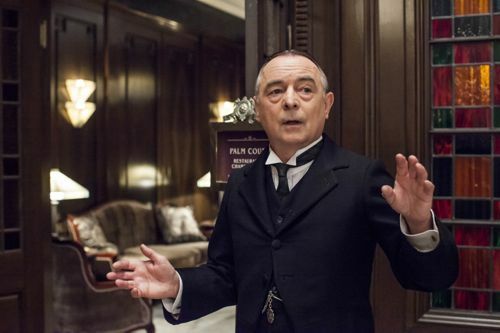 Ron Cook as Mr Crabb. 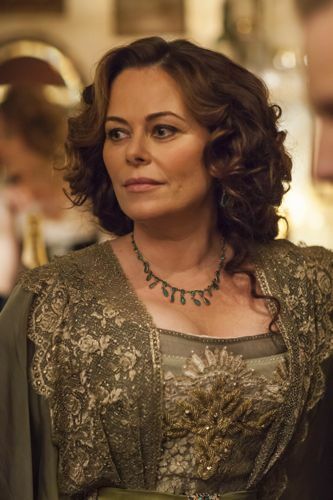 Polly Walker as Delphine Day. Amy Beth Hayes as Kitty. Tom Goodman-Hill as Mr Grove. 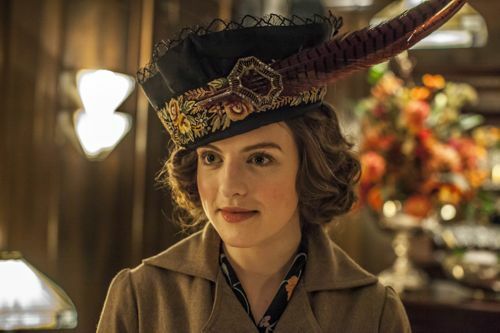 Aisling Loftus as Agnes Towler. Cal MacAninch as Mr Thackeray. 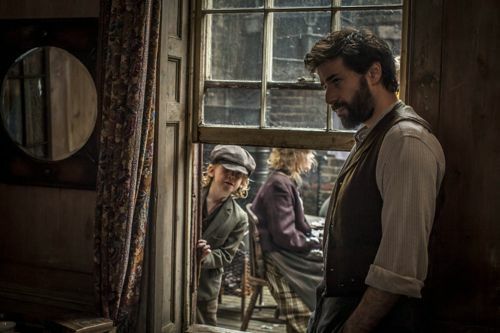 Calum Callaghan as George Towler. 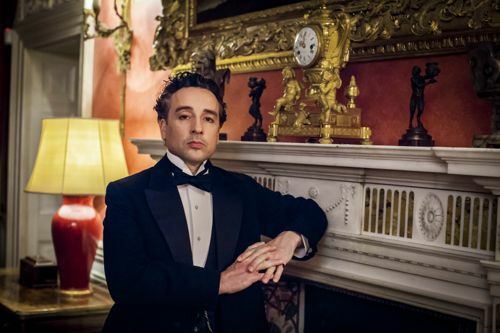 Aidan McArdle as Lord Loxley. 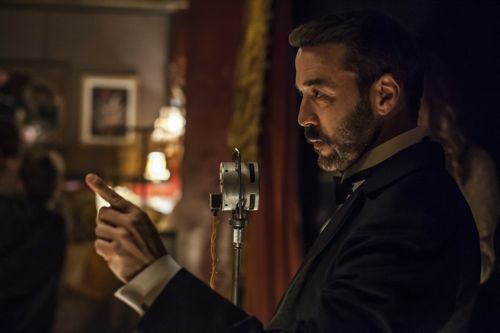 Gregory Fitoussi as Henri Leclair. Open for Series Two Business. Posted in News and tagged Aidan McArdle, Aisling Loftus, Alfie Boe, Amanda Abbington, Amy Beth hayes, Cal Macaninch, Calum Callaghan, Frances O'Connor, Gregory Fitoussi, Harry Selfridge, ITV Drama, Jeremy Piven, Kate Lewis, Katherine Kelly, London, Lord Loxley, Mr Crabb, Mr Selfridge, Oxford Street, Polly Walker, Ron Cook, Samuel West, Selfridge and Co, Tom Goodman-Hill, Trystan Gravelle. Bookmark the permalink.